When winter comes, can nolen gur be far behind? There are two things that anyone living in Mumbai is concerned about. Getting famous and/or buying your own home. The first is fuelled by its beautiful and glamorous residents who have made the city more famous than the national capital. The second is a dream shared by all the people who have landed here from all over the world. In Maximum City, Suketu Mehta writes about how scarcity of land is what shapes the city’s culture, philosophy, politics and economy. That and the cumulative energy of the homeless who have been braving the struggle and the dystopian living conditions in the hope of a better future and more than a toehold. In 1977, Gulzar wrote Gharonda, a film starring Amol Palekar and Zarina Wahab that captured the essence of the Bombay mirage. Palekar and Wahab are your regular middle-class working couple, who dream of getting married and moving into a small flat of their own. They share their respective homes with flatmates and family and work hard to build a corpus for their ideal home. Unfortunately, the builder turns out to be a con man and the young couple’s dreams of starting a new life in a new home comes to a bitter end, and so does their relationship. Basu Chatterjee, one of the pioneers of Hindi new-wave cinema, made a film called Piya Ka Ghar, starring Jaya Bhaduri and Anil Dhawan. It was the story of a young girl from a village who gets married to young man in a large family living in a cramped room in a Mumbai chawl. While grappling with the lack of privacy, space and the peculiar dynamics of the family, she comes to terms with how the ‘city does not have enough place for everyone in its homes but there is always enough place for everyone in its heart’. That was in 1972. Not much has changed since the film was made. 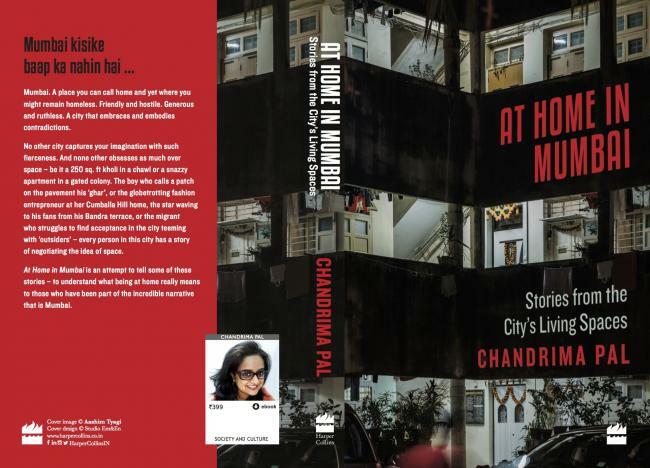 At Home in Mumbai Stories from the City's Living Spaces by Chandrima Pal dwells on Mumbai a place you can call home and yet remain homeless. 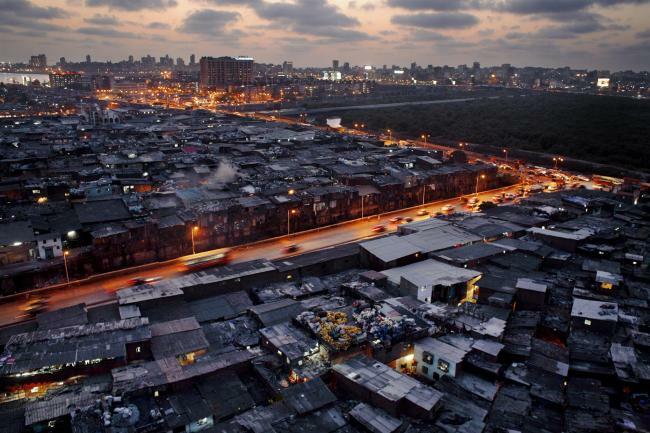 No other city obsesses as much over space with such passion as Mumbai. A house for Bollywood stars is more than just an address. It is a trophy they like to gift themselves. A reward more powerful and satisfying than any of the statuettes that the award functions dole out every year. A trophy that tells the world that the star has arrived. It was the day before the release of his most unabashedly commercial film. Shah Rukh Khan, in his inimitable style, had thrown open the doors of his palatial bungalow to hundreds of media persons, friends and colleagues. It was a grand Iftar party and a toast to the success of the film – a foregone conclusion at that time. There was a lavish spread on long tables – kebabs that melt in the mouth, rich, layered biryani, fresh dahi vadas and an array of desserts. Outside the high walls, a sea of people had gathered, the tide swelling every minute. Men, women, star-struck rookies, veteran writers, producers, distributors, close friends and his trusted PR aides buzzed around the split-level, Victorian lawns, eyes trained on the grand stairway. Well into the party, he appeared. Pausing at the door on the upper level overlooking the lawn. Dressed in a black kurta and salwar contoured for his incredibly sculpted body, a pair of dark aviators, he paused dramatically, waving out to his ‘guests’ who dropped whatever they were doing to reach out for their cameras, microphones, to get the moment evidently planned to heighten the drama – the dark knight against the pristine, venetian backdrop of the white building. ‘Shah Rukh’ ‘Khan Sahab’ the voices urged, as the star slowly walked down the winding stairway, pausing, blowing kisses, waving, smiling and then finally stepping into the lawn greeting, hugging every one. Seasoned journalists were reduced to giddy-headed teens in his presence, as he gave each one what they would say was a ‘moment’ – a hug, a smile, a few words, an ‘exclusive’ sound byte. In a few minutes, there was a fresh ripple at the durbar. The star’s family – his wife Gauri, and his two children (Abram was not in the picture yet) and his sister had made an appearance. He joined them on the stairs, pausing at every turn of the picturesque setting for photo ops – each member of the family handling the hundreds of cameras with the ease of one to the manor born. 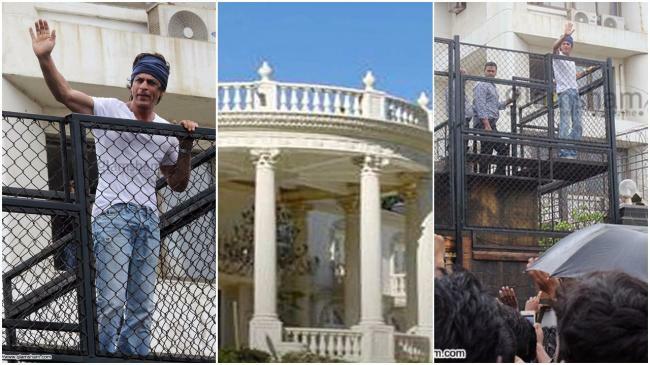 And when the star climbed on to the platform next to the high walls, into a caged enclosure to wave out to his fans, with his daughter Suhana by his side, the crowd erupted in joy. From the other side of the wall, it seemed as though Sachin Tendulkar had hit a winning sixer. A moment that was recreated in his critically acclaimed film Fan. It was hyperbole but true. Just like the city. It was a pleasant December day in 1992, almost a decade after the textile mill strike fronted by Dutta Samant seeded the first germs of rot in the heart of the working-class ecology of the city. The residents of Natunchi Chawl had gathered around a large television set one morning. Some of them had subscribed to Newstrack, India’s first video news magazine, produced and anchored by Madhu Trehan. This particular edition was special. ‘Jai Sri Ram’, jubilant men thundered. Young boys ran around cheering for friends and jeering at imaginary enemies. It was all in jest. Some jolly good fun. Something to talk about and make games around. Until, of course, the milkman called that fateful morning and everything changed. ‘The Muslims have poisoned the milk. They want to kill our children,’ he said. ‘I get goose bumps even today,’ says Swaroop, recalling that phone call, rubbing his fingers on his bare forearms. The whole game of demolishing enemies had suddenly turned real. It was a game that adults were playing and it was not funny at all. The chawl, which was close to Bhendi Bazaar, the Muslim hub of the city, was on the edge and armed. When the riots did break out, male members formed groups to keep vigil all night. Cadres of the most influential political party taught young boys how to make petrol bombs. Weapons were fashioned out of playthings and kitchen stuff – stumps, knives and bats. Some even brandished scythes. Every now and then there would be rumours. ‘Five thousand Muslims are headed this way, be prepared.’ Luckily, none of the weapons had to be used at Natunchi Chawl. ‘It was mostly rumour-mongering,’ insists Swaroop. When the boys did venture out, they saw shops that had been ransacked. Houses burnt. Some of them belonged to their school friends at the St Xavier’s Academy. ‘Why is this shop destroyed?’ Swaroop and his brother Harshad asked the adults. ‘Because they belonged to a Muslim.’ Many of the shops, restaurants belonging to the minority group were burnt down by hooligans. There was retaliation as well. But the ethnic cleansing had begun. Most of the ‘others’, those who eat meat, offer namaz or worship different gods, were pushed away from the vicinity. Eventually, the cleansing extended to anyone who ate different kind of food as well. Something changed in the city after the riots. Something in the air, in the sands of the Chowpatty, the iconic city beach, in the dark tidal waters of the Mahim creek. ‘There is too much mistrust, too much labelling, too much fear in all of us,’ says Swaroop. Swaroop’s six-year-old son Ishaan is a fan of Bollywood actor Akshay Kumar. The family was watching a film, Holiday, in which the star goes around killing terrorists. Ishan burst out, ‘Look at those terrorists he is killing. They must be Muslims.’ A shocked Swaroop asked his son where he had picked it up from. ‘Everyone says Muslims are terrorists,’ the boy replied. It took Swaroop a while to convince him otherwise. Back at the Chill Mar, the world outside Swaroop’s food joint has got busier. One of the senior craftsmen in his team steps in to have a chat with us. He is from Kolkata. Artisans from Bengal are highly prized for their skills in gem and diamond setting. He is one of them and has been working here for fifteen years, commuting from distant Virar to Girgaon every day. Swaroop steps out to have a word with a young woman, possibly on her way home. Introductions are short and swift. And almost unnecessary.‘Could you guide her to the Keshavji Naik Chawl?’ he says. I am greeted with a warm smile and the woman takes me through the narrow gullies through a ‘short cut’ to emerge in the heart of the historic chawl. ‘Where do you live?’ I ask her. ‘In a chawl close by,’ she points to another similar building around the corner, speaking in the easy, sonorous Mumbai English. ‘Do you like it there?’ I ask, suddenly aware of how shallow I sounded. She disappeared in the crowd returning from workplaces, pausing to pick up supplies, flowers and fruits.